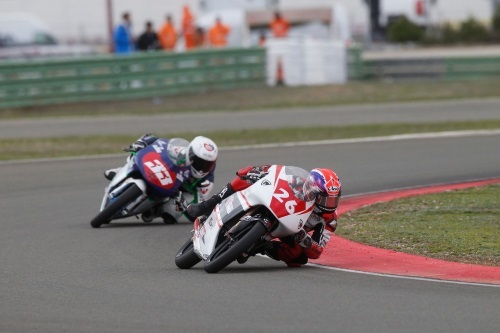 Valencia, Spain – April 25, 2018 – Coming off a pair of top-ten finishes in PreMoto3 aboard his #26 Team XCtech Canadian Tire – Cobourg machine, Canadian Jonathan Finn is proud to announce the launch of his new logo and a brand-new website, jonathan-finn.com. 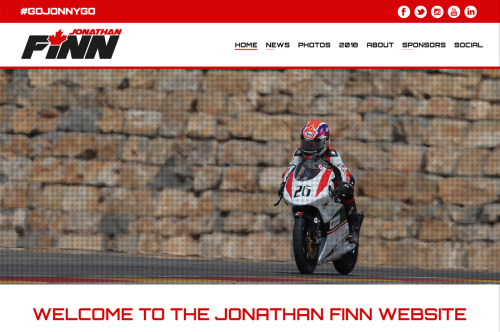 Finn’s new digital presence was developed in partnership with Vroom Media Ltd based in England. Vroom Media specializes in working with MotoGP and motorsport clients and pride’s it’s self on being at the forefront in online and offline design and branding, websites, Smart TV apps, iOS apps, infographics and more. Current clients also include Casey Stoner, Alex Lowes, Eugene Laverty, JD Beach and John McPhee.